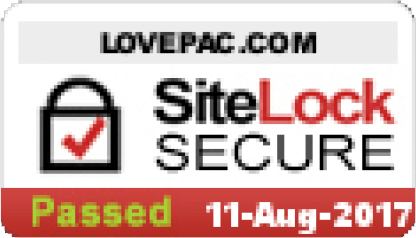 Custom Boxes: Lovepac offers quality custom boxes! 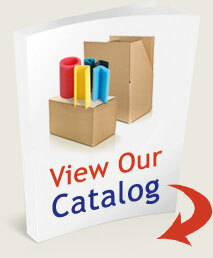 In-house box design, conversion, gluing, printing, stacking, warehousing, and shipping are here at Lovepac. All of our corrugated packaging products are made with high performance liners and supported by leading design and manufacturing services that come together in high quality cardboard boxes to keep your products and goods safe. Every member of the knowledgeable Lovepac packaging team is personally committed to the highest levels of packaging innovation and customized products and services. We produce A, B, C, D, E and specialty flutes (such as BC and AC). Tell us what you need, and we’ll deliver a solution that you can be confident will protect your valuable goods. This model is 100% custom to your specifications. It is excellent as a shipping box, it also offers great presentation properties. It stacks well because of its double sided walls and is excellent if you wanted to place several into a master box and ship them in bulk. It is typically made with a single wall corrugated (cardboard) material, and is available in various paper strengths and thicknesses. No bonding agent is necessary; therefore you won’t need to tape it. Ships flat and is easy to assemble by hand. The RSC can be used for most products and is the most common corrugated (cardboard) box style. This box when assembled is stackable, shippable, and easy to pack and seal. If you plan to ship your products via courier, it is recommended you choose the double wall corrugated (cardboard) style. (The choice of single or double wall will be available at the next step, once you select this style) The RSC is an ideal box when wanting to ship goods inexpensively. This is a highly efficient design for many applications. There is very little manufacturing waste therefore making it an eco-friendly choice. No other tools are required to make your custom size solution. Telescopic boxes are a great option when shipping heavy or large products. This box is typically assembled directly around the product itself. Since this style is highly customizable, it is recommended you send all your information and a member of the Lovepac Corr Design Team will review your project to ensure you get the best protective packaging solution for your needs. Highly resistant to compression when stacked. Ideal for heavy and or large products. This is a very efficient design for many applications. There is very little manufacturing waste, therefore making it an eco-friendly choice. Great for long and small items, i.e. Plastic or metal extrusions, blinds, etc. Typically an HSC is an RSC without the bottom flaps (or top depending on your needs). This type of design is ideal when used as a cover for a product that is already assembled. Since this style is highly customizable, it is recommended you send all your information and a member of the Lovepac Corr Design Team will review your project to ensure you get the best protective packaging solution for your needs. Typically the HSC is combined with a custom tray or display box. This style is very useful for non-standardized products. Typically the FPW corrugated (cardboard) box is built to be wrapped around the product. This box is usually used for long items or multiple long items. The object can be place on the corrugated board, and then the box ‘wraps’ around your product and is then taped at each end. FPW is an ideal box when packing a product that is difficult to maneuver. No other tools are required to make your custom size box. Cardboard or corrugated box inserts for packaging boxes are a great way to protect your products. We offer a lot of options such as corrugate cardboard dividers, waffles, corner protectors and many more. Our design team can evaluate your needs and provide a solution that will fit your product and your budget. Reusable boxes are completely custom designed and made out of a plastic corrugated material. These boxes are ideal for the medical or food industry since they are entirely waterproof. Many styles of boxes, trays and partitions can be made out of this reusable material that will not deteriorate with use, making it an eco-friendly choice. 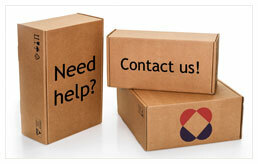 Note: Our CorrDesign team is always available to discuss your custom packaging needs. Click, call or chat to contact us with any questions you may have!